Who are Sikhs? 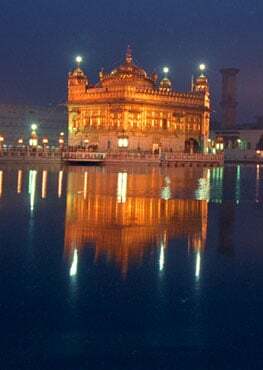 What is Sikhism? The Sikh community invites all people to join them in bringing about mutual understanding and deep respect for all people. 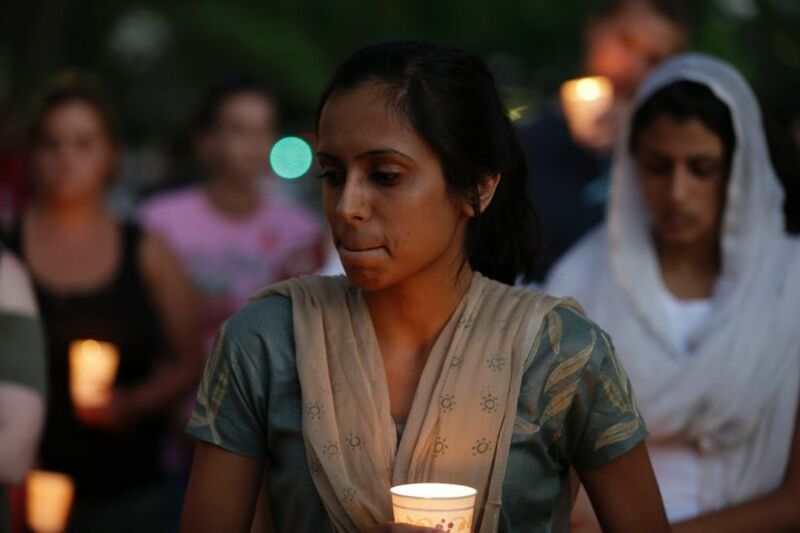 Since Sept. 11th, Sikhs, like other Americans, have been grappling with grief and fear. But their fear is not only about another assault from outside. 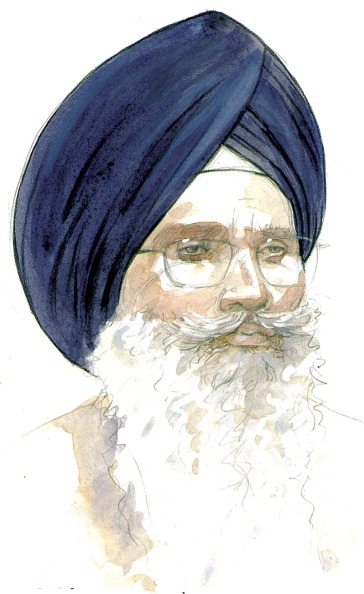 Many Sikhs have become victims of hate crimes because of their appearance. Balbir Singh Sodhi, a Sikh American (Balbir Singh Sodhi), was killed on Sept.15 as a result of mistaken identity. 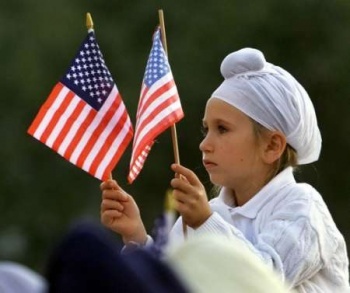 Across America, the only people who wear turbans are followers of the Sikh religion. Sikhs are from Northern India (Punjab) and are neither Hindus nor Muslims. Although Sikhism encourages self-defense, it pointedly teaches not to seek revenge or retribution, and teaches observers to be free of hatred. Sikhism - The word Sikh (pronounced "sickh") means 'disciple' or 'learner.' The Sikh religion was founded in Northern India in the fifteenth century by Guru Nanak Dev Ji and is distinct from Islam and Hinduism. Sikhism is monotheistic and stresses the equality of all men and women. Sikhs believe in three basic principles; meditating on the name of God (praying), earning a living by honest means as well as sharing the fruits of one’s labor with others. Sikhism rejects caste and class systems and emphasizes service to humanity. Turbans are worn to cover our long hair and with respect to God. 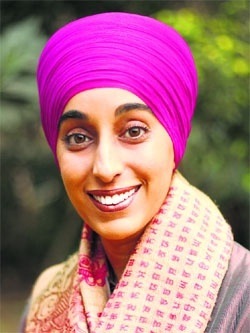 Learn to recognize a Sikh turban. 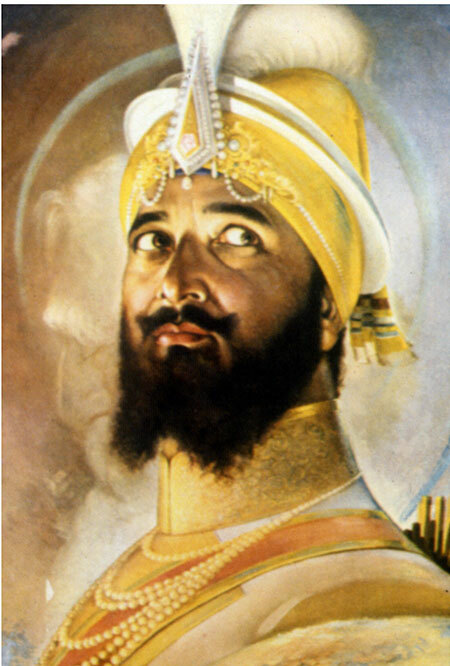 Sikhs have unshorn hair, beards and moustaches. The Sikh faith teaches us the humanitarian principles of freedom, equality, and justice - the same principles this great democracy is founded on. There are about 25 million Sikhs in the world. Sikhs have been in the United States for over 100 years. Sikhism recognizes the universal truths that underlie all human endeavors, religions and belief systems. The universal nature of the Sikh way of life reaches out to people of all faiths and cultural backgrounds, encouraging us to see beyond our differences and to work together for world peace and harmony. 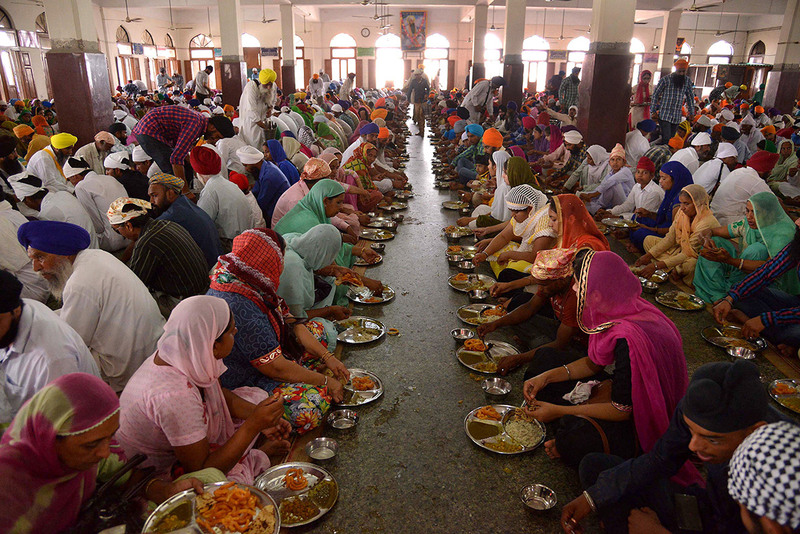 The almost 25 million Sikhs worldwide constitute the fifth largest religion in the world. Despite almost a million Sikhs living in North America (USA and Canada), Sikhs are often confused as Arabs or Muslims. Sikhs arrived in North America in 1897 and played a pivotal role in the opening of the West and construction of the Panama Canal in 1904. 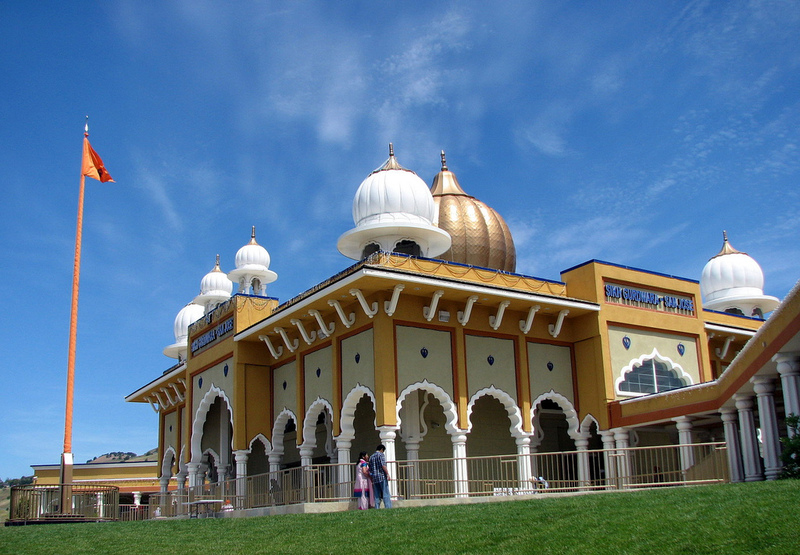 In 1906, Sikhs established their first gurdwara, or place of worship, in the United States. 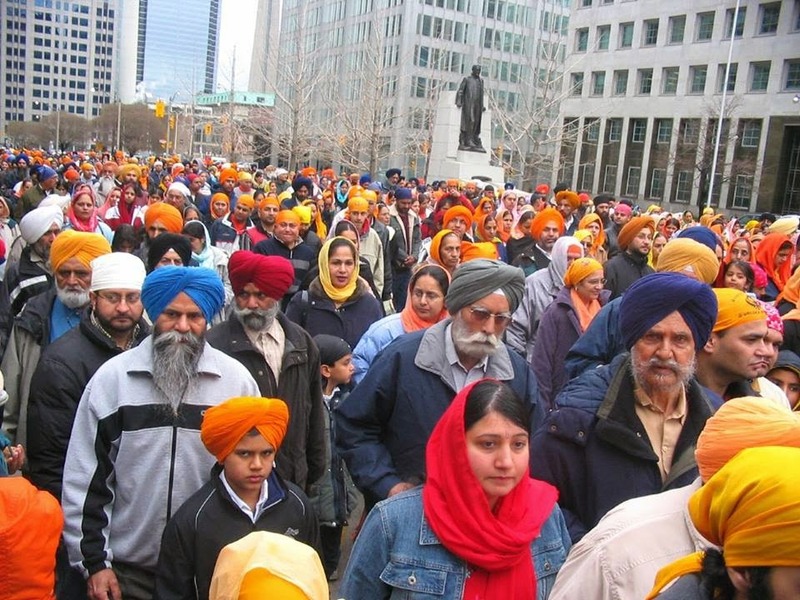 700,000 Americans and Canadians are Sikh and nearly every major city has a Sikh place of worship and community center. 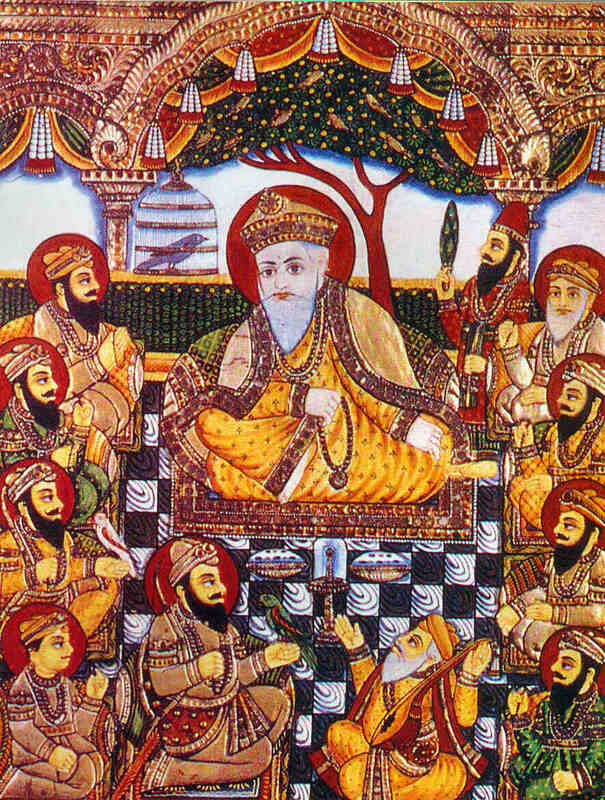 Guru Nanak surrounded by the successive 9 Guru's. Guru Gobind Singh (pictured to the right) also decreed an end to the line of Gurus in human form. The writings of the earlier Gurus were collated along with those of Hindu and Muslim spiritual figures whose teachings strongly resonated with Sikh beliefs. This collection of writings is known as Guru Granth Sahib, a uniquely ecumenical and eclectic collection of spiritual writings. 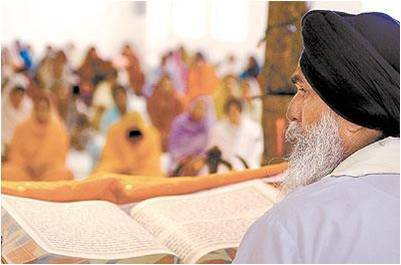 For Sikhs, Guru Granth Sahib is the repository of all spiritual knowledge and authority. In temporal matters all authority rests with the Sikh community worldwide acting democratically and in mindful prayer with an awareness of the spiritual heritage which is embodied in the Guru Granth. Sikhs revere the ten Gurus, Guru Nanak to Guru Gobind Singh, because they delivered the divine word of the one, timeless God. The word “Guru” acquires, therefore, a very special meaning for Sikhs. It is reserved only for the ten Gurus who gave us the divine message and to this message contained in the Guru Granth Sahib.